Shane MacGowan will reportedly tie the knot with his long-term fiancée, Victoria Mary Clarke, on Monday. 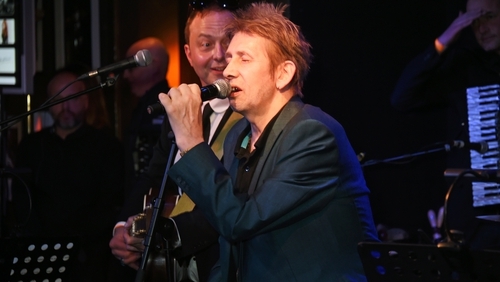 According to the Irish Sun, The Pogues star, who has been engaged to the journalist for 11 years, will wed his partner in Copenhagen, Denmark early next week. On Thursday, Victoria posted a picture sitting aboard an airplane on Facebook, with the caption: "Heading off on a secret mission". It is believed their ceremony will be an intimate affair with close friends and family attending the ceremony. McGowan celebrated turning 60 last December, the same year that his iconic track Fairytale of New York marked its 30th anniversary.